"Kids rooms should be the perfect place for imagination, discovery, rest and play. Wall art can bring a splash of colour, a spark of energy or an educational touch." 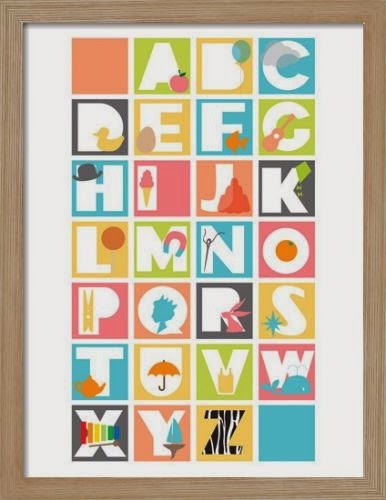 Easyart have kindly provided this fun yet educational ABC print by Sophy Henn, complete with a beautiful natural ash box frame, to giveaway worth £53.88. 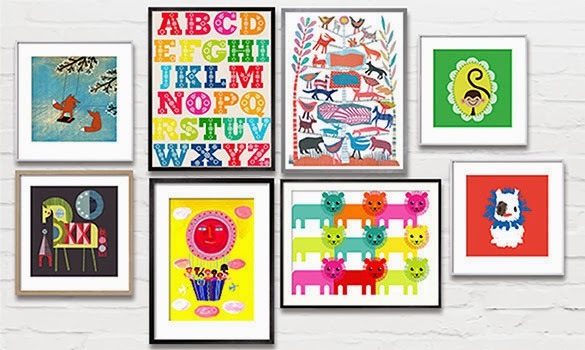 For your chance to win an ABC print by Sophy Henn from Easy Art you can enter via the Rafflecopter entry form below. I follow by email, twitter, bloglovin' and networked blogs. Having a chihuahua, I love the Chi, the amorous Chihuahua Art Print http://www.easyart.com/canvas-prints/Mirrorpix/Chi%2C-the-amorous-Chihuahua-87799.html and if I don't win, I will probably buy it anyway!!! Thanks for sharing the site! Sleepy Bear Art Print by Sophy Henn. He looks so sleepy, time for bed now! The very hungry caterpillar is lovely! Oh, I instantly loved the Rabbits on a Marshmallow Tree, I really want that print! 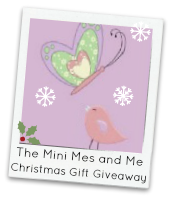 Following on bloglovin' and Email! I like the Boys Toys. I love the alphabet print but also adore Take Your Partners IV - my daughter has recently started ballet and this is just gorgeous. I think the Long White Duke print is the one I like the most. I love Jerry the Giraffe!